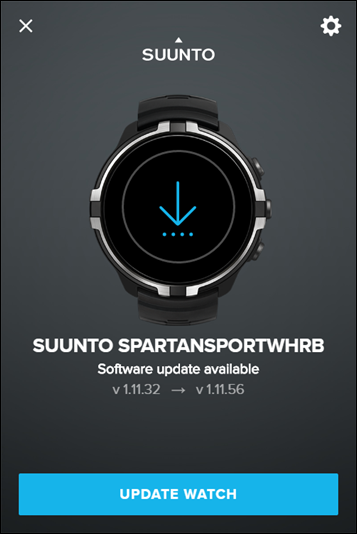 Just under a month ago, when Suunto announced the new barometric altimeter equipped Suunto Spartan Sport Wrist HR Baro (yes, that’s really the name), it also hinted at some upcoming firmware updates. Some of these were casually referenced within the release of the Baro, while others were just left to your imagination. 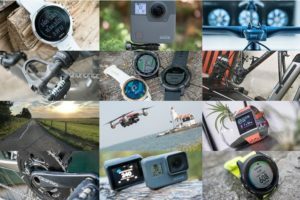 Now though, Suunto has unwrapped the full list of what’s new in a packed firmware update that starts rolling out today to all Suunto Spartan Units. 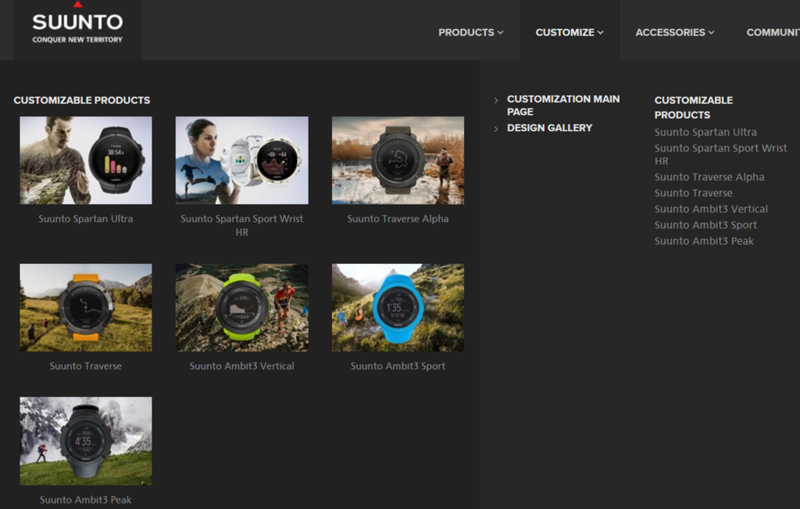 But in addition to all that, you can now build your own Suunto watch using various parts/bands. It’s sorta like a build a bear workshop, except with the bear being an expensive GPS watch. Also, it’s not soft and cuddly. For the fun of it, I selected the Spartan Ultra. After all, go big or go home! Once you do so, you’re brought to a page with a ton of options. You’ll note on the left side are all the things you can customize, and the right side are the color/material options for that specific component. I started off with tweaking the buttons and making them copper. Then I went back to the glass and selected Sapphire glass for the display, and copper for the upper bezel. That set me back another $70. Then I changed the strap to white. At present, the strap options are somewhat limited to just being colors. That’ll change soon I’m told. I also changed the case (basically the backing) to white too, just cause. None of these pieces cost anything extra. Then I changed the buckle (on/of the strap) to copper, to match everything else. That was also free. In case you’re wondering at this point, here’s the simplified version of the things that currently cost money to add/change. 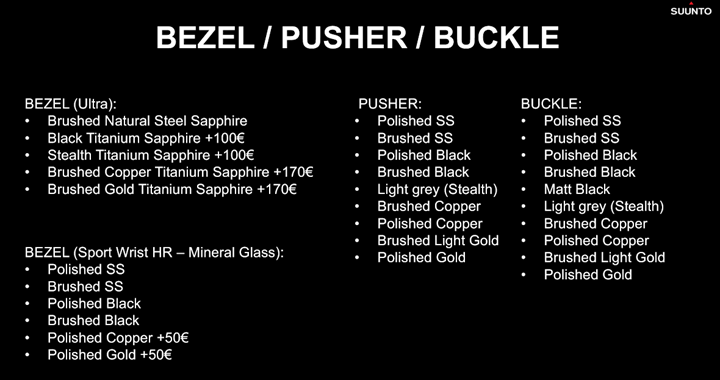 Ones without a price are free, as are the various color changes for the bands/case. Next was an important decision, but obviously, I changed the charging cable to match the case. Can’t have any sort of fashion incident here. Regrettably they don’t have things like orange charging cables, else I’d have gone back and made an orange watch. They do however have the hideously ugly lime green heart rate strap you can add to it. Which I did, for $50. Once all that’s said and done it shows me a purchase page and says a delivery time of 5-10 days. In other words: Dude, you’re getting’ a Dell Suunto! In seriousness, this is neat stuff, and is definitely going to be appealing for those that want a specific look on their unit and don’t mind waiting a few extra days for it. Do note however that at the very bottom it says ‘No returns’, but that the normal warranty applies. 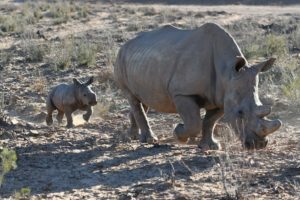 Here’s the quick listing of what ya need to know, with some of my comments after each one, start off with some new data fields that you can add. These include downhill distance, grade, speed in both current run and total in day variants. And in summary mode: Total run count, total downhill distance, total downhill descent, longest run distance, average sped and max speed, and total downhill duration. These new fields are available for any of the snowy related sport fields: Alpine skiing, snowboarding, and telemark skiing. The thinking here is much like we saw Garmin roll out a while back with their ski mode, which figures out when you’re descending and when you’re going up a chairlift. It’s something I use a ton when I’m skiing, as it’s generally surprisingly dependable and handy. It’s a bit early in the ski season to get some testing in (except for my brother, who I saw was hiking this weekend to the tops of ski areas to get in some early turns), but it’s definitely something I’ll do once I find snow and operating chairlifts. 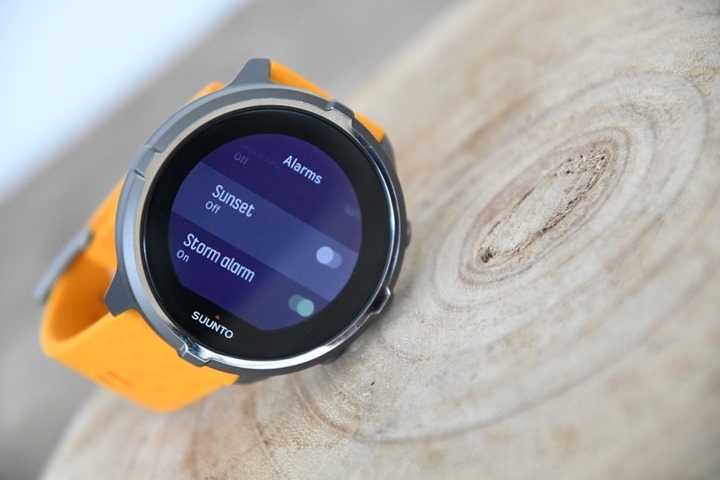 We saw Suunto wander into the sleep realm a bit earlier this year with some firmware updates, but the functionality was fairly limited. In many ways, it’s still kinda limited compared to most activity trackers, but this hits the core requirements for what most people are looking at (the last week’s worth). Note that this data is still kept only on the watch, and isn’t enumerated anywhere yet online or via the app. Hopefully, we’ll see that soon. And of course, also note that the heart rate tracking is only for the optical-HR enabled models. All of which will make it easier to know when you’ve reached your POI, as well as to determine how long or hopelessly lost you are in search of your POI. I’m still hoping we’ll see Suunto add the ability to do some basic picture-focused watch faces, whereby I can take a picture from my camera roll and make it a watch face. This would seem to play well into their hands of having a higher quality screen. 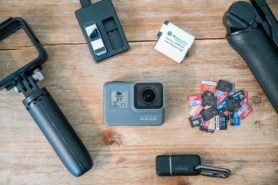 These fall into the camp of bringing things back from the Ambit series, all of which were present previously either natively or with apps on that platform (since Spartan doesn’t have apps). Note that the storm alarm is only available on units with a barometric altimeter (Spartan Ultra, Spartan Sport Baro). Whereas the Sunrise/Sunset alarms and countdown timer are for all units. New Languages: Turkish is available on all models, Thai on region-specific models, and notifications can now be shown in Hebrew. Regrettably, I speak none of these languages, thus, I have no further items to add here on this one. Bug fix for when GPS fix is lost while in ‘Good’ mode, but reconnected with ‘Best’ mode. Now returns to ‘Good’ mode as it should. Phew, got all that? Good. This is a biggie in some circles, as previously in the Ambit series you could do this, but that functionality was lost in the Spartan series. Now it’s back, which makes things a little bit cleaner when running with Stryd and whereby you also have another power meter on your bike. That’s because until now you had to choose one or the other. 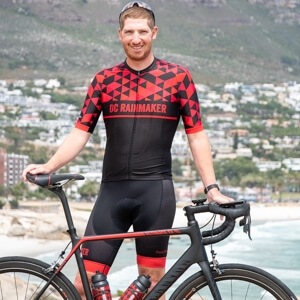 So if you were doing an Ironman race, you actually couldn’t get power data on both the run and the bike, you had to decide which one was more valuable. Okey doke – all-in a pretty solid update from the company. 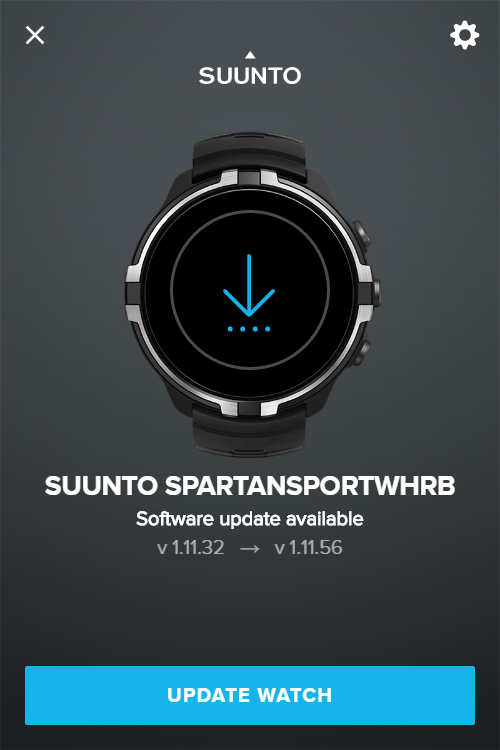 Certainly many of the software updates are more catch-up to what they had previously, but still, they’re appreciated and ultimately help to make the Suunto Spartan series more competitive. I do think the customization thing is a good example of thinking outside the box. We’ve seen Suunto mostly ‘follow’ for the last few years in terms of industry competitiveness. Whereas this is really a good example of them doing something nobody else has done with respect to the major fitness players, and doing a pretty darn cool job of it. Suunto doesn’t make any watches that can store music. I was pretty excited when i got the pupop update watch! Yeah, it’s a really cool watch-face. Did you do anything to get it to show the sunset on the screen? I’m asking because my(SSU) is just showing a straight line. You’ve got to use your GPS once (starting an activity with GPS or simply going to navigation > your location). After that, I’ll see it! Of course. Thanks for pointing that out and answering me. Tried to update my brand new Suunto Spartan Sport Wrist HR Baro this morning, but during the sync something happened and my computer (Macbook Pro) lost the connection to the watch and now my watch is bricked. Absolutely nothing happens, tried all resets and different usb ports on my computer with no luck. Trying leaving the watch overnight so the battery goes flat (even though the display is black, the watch may still be running) and the plug it into USB. Is there somewhere, to compere these new watches, with Suunto Ambit Peak? That’s right, and their language you’re speaking could have more than just two to affect confusing words. But at least it’s a stationary target so you can write it down on your stationery too. The French also spell it “route”. I’m told the firmware update will be rolled out over the course of a couple of days to all users. Sorry, meant to include that in there. 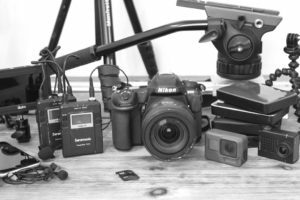 Could you update your SST ? Apparently all ‘updates servers’ will have it by latest Thursday evening. The update was available this morning! Still awaiting an update for my Spartan Ultra as of 4:00pm Eastern Time, 10/19. Am I missing something? Thanks for the excellent overview of this firmware update. Some great features and fixes that they’ve put together. 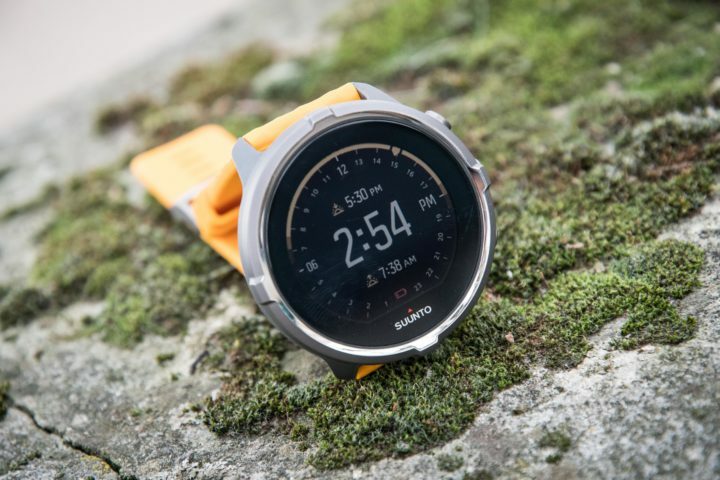 For Suunto, if you listen on here, I’d really like to see recovery estimates improved. They’re entirely worthless, despite an update over the past year. That, or an insight into what your definition of recovery is. I had a Polar v800 before and it would always have this nailed; 2 hour MTB race, Polar 48 hr, Suunto 120 hr. Sensor pools are needed as well. 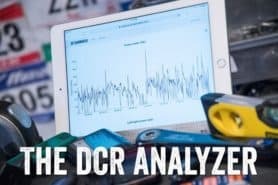 I have a gravel bike and a road bike, each with a power meter, it would be nice not to have to pair the sensor each time. Are you using an HR belt, optical HR or no HR? I find the recovery always over-estimates when no HR is used. you have to edit in movescount the number of hours you train per week. I hope Suunto realize how needed this is. Especially in conjunction with the now improved Stryd support. If they want to do something Garmin can’t running power structured workouts are it. There’s not a massive amount of people who will want it but certainly though. I’m ready to upgrade my 920 and if Suunto had this I’d order today. Great update! But after connecting with Stryd as a footpod, I unfortunately get no power displayed. Anyone else with this problem? Please email us at support@stryd.com or message us at stryd.com if you have any questions about connecting Stryd. We would love to help. I have an Ambit 3 Peak on which I installed a ‘grade’ app, showing hill incline for mountainbike/cycling. I consider to purchase a Spartan Trainer HR or Sport Baro HR. 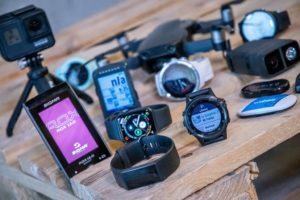 Is it correct that I cannot install apps on these watches, thus no grade features for cycling even with a barometric altimeter (Sport Baro)? 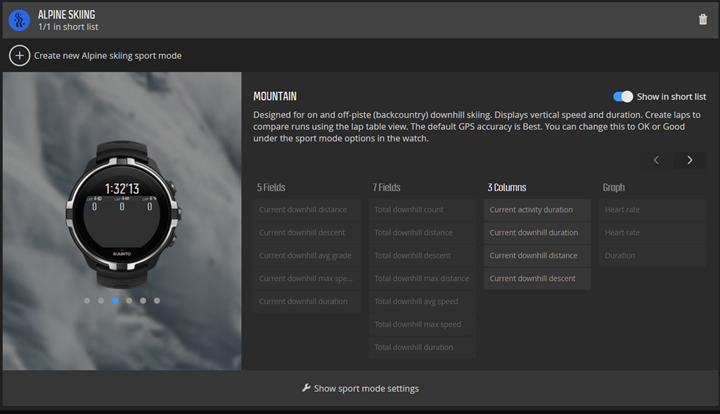 You mentioned the grade field of the ski mode, does this work in other sport modes? Or is there another way to obtain this feature? Any word about when the capability of adding custom app will be available on spartan? I had Suunto Ambits 1 & 3 then switched over to a Garmin Fenix 3, and now Garmin Fenix Chronos. The one thing I loved with Sunnto (which is the only thing I hate with the Garmin) is the ability to organize and configure the data fields and activity paged on Movescount. Does Garmin have this capability somewhere that I am missing? 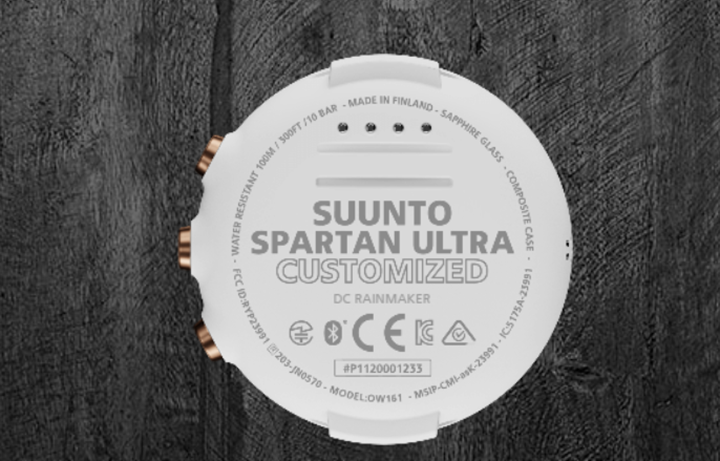 Ray, do you know if/when the Suunto Spartan Sport Wrist HR Baro will be able to be customized as well? I’m stoked about finally supporting the Stryd as a foot pod with pace, cadence and power. It’s going to make intervals in the city so accurate and convenient! Anybody has tried wether it’s best to disable gps footpod calibration? Besides that, the new watch face is very nice too. Big update this time. – The outdoor watch face also shows you day/night/twilight hours after you let the GPS run (eg, fire up navigation). When you took your photo it doesn’t look like the GPS had run yet. 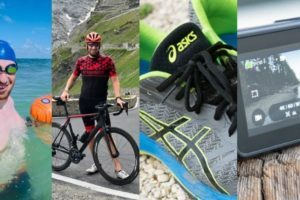 – Last time I check, the Ambit doesn’t show power when the Stryd Summit is connected as a foot pod – only pace/distance/cadence. You might be thinking of the older Stryd Pioneer which would display HR when paired as an HR pod but also display power from the power pod profile? The Ambit3 supported this in Dec. ’15 and the Spartan at launch. Has anyone else found that their watch has stuck on 1.9 firmware?? My watch have updated yet also. Which Spartan do you have? I have Spartan Sport WHR and it’s stuck in v1.9.36. 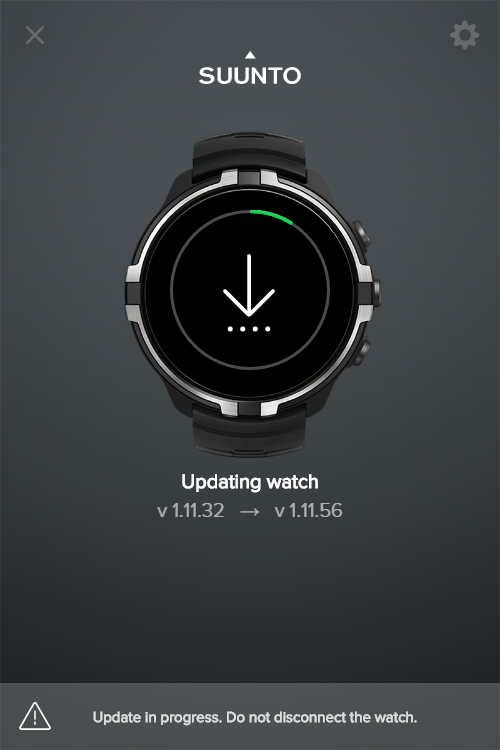 Have others managed to update their watches? My Spartan Ultra is still on v1.9.36 as well. I called Suunto this morning (10/22, Sunday). They told me the rest of the update schedule should push 10/23. Has anyone noticed that after the update, the laps summary, after a run, has gone, and is only available online at movescount.com? I’ve checked this on my watch Spartan trainer, and on my wife’s watch Spartan sport WRH. For runs/swims done before the watch was updated this is indeed true. The moves on the watch are erased and only the basic info is send back to the watch. I didn’t look at the move i made after the update but on those moves the laps should be present. That’s a great update, especially the Stryd integration. One thing though: Stryd has apparently a great barometric altimeter built in. The SS trainer and the SS sport (WHR or not) lacks of barometric altimeter. One great improvement would be to use the barometric altimeter data from the Stryd (I believe it is available through bluetooth connection ?). Do you see them implement such awesome intégration ? It would definitely be very compelling. It’d require some customization from Suunto, but pretty minor. I’m looking to switch from my two years old fenix3 to something new and Suunto Spartan Sport WHR cought my eye. I would like to know was there any (significant) updates since your last review? They’ve added a bunch of software features primarily. Though not too many since this post back in September. On their site they list the differences in the ‘Spartan Getting Stronger’ mini-site.